(CNS): Government has passed a bill to allow Caymanians who do not own their own property to raid their own pension funds to use as a deposit to buy a home or land on which to build one, or to pay off their mortgages. Based on the theory that those trapped in rental property when they retire will have to spend a large portion of their pension on rent or become a burden on the state, government believes withdrawing a sum of cash before retirement will help them in the long run when they finish their working life. However, pension firms have expressed concerns about what could be a devastating impact on the final funds and the opposition has said the bill will not save homes as the public have been led to believe it will. Following passage of the bill in the Legislative Assembly last month, pension holders will be able to take a bank agreement to their pension administrators and withdraw up to $35,000 depending on the cost of the property purchase or outstanding mortgage loan and the amount they have in their funds. Those choosing to raid their pension for a home will be required to pay additional contributions of 1% and if they sell the property before they retire they will need to pay back the full amount borrowed. “We need to give people as many tools as possible to access property ownership,” said Rolston Anglin, the labour minister who has responsibility for pensions. He added that there can never be too many ways to help people buy their own homes. With access becoming increasingly difficult for many people, he said this amendment to the law may help to change some people’s lives. The minister spoke about how important adequate housing is to society at large as he revealed that most of the children in the education system who were on the at risk list lived in poor housing conditions. “Anything that can assist in home ownership is crucial,” Anglin told his legislative colleagues. While one or two people may be placed at a less than “advantageous position as it relates to their ultimate retirement”, he said that could be justified and was “surely worth it” if their children's life chances are improved now. Opposition Leader Alden McLaughlin said that he and his colleagues would not vote against the bill as he felt many of the dangers raised when the idea was first proposed in the LA over a year ago in a private member's motion were addressed, but he said the PPM was not particularly enthusiastic about it as he did not think very many people would be in a position to benefit from it. McLaughlin warned government that many people were likely to be disappointed because they were expecting that they would be able to access their pension fund to pay off mortgage arrears to save them from losing their homes. He noted that this would have been a dangerous proposition but, nevertheless, expectations for that had been raised. He pointed out that most people who are struggling with arrears at present probably owe much more than $35,000 in total on their homes so it would help only a few people to save their homes. He also noted that the government assisted mortgage scheme already provided a method for Caymanians to access a deposit to buy a home without having to risk their retirement. “This bill has very limited utility given the various protections that have had to be put in place and we need to manage expectations,” he warned as he pointed out that the community had seen this move by government as being something very different from the actual end result. McLaughlin offered his support because of the protections that he said the minister had put in place and commended the careful crafting of the legislation, which he said would be very unlikely to see a run on pension funds. He said it was important that the message went out that anyone who decided to take money from their pension would have to find a way to put it back before they finished their working life or they could be facing a bleak retirement. Before the vote was taken on the bill Anglin said that the amendment came ahead of further major legislative changes to the law that governors private pensions, including improving compliance. He also noted that the retirement age would be moved to 65 shortly, which would give people taking advantage of this legislative change the chance to pay in more money into their funds before retirement. It is only private sector pension plans that will be affected at present but the minister said he would encourage those in charge of the public sector pension plan to allow civil servants access to their pensions as well. Although the minister said the pension sector and the National Pensions Board had been consulted and government had taken on board many of the suggestions made, it is understood that there are significant concerns about the bill in the industry and the pension’s board has not offered its support to the change in the law. 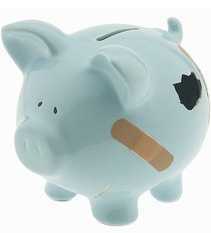 See the National Pensions Amendment Bill 2011 here. (CNS): Former Cayman Islands Monetary Authority chairman, Tim Ridley, believes that Cayman’s public and private sectors ought to be doing much more to defend Cayman’s stance globally, with nothing less than the islands' financial services industry at stake. Ridley says that the recent report by the Tax Justice Network reveals a continuous need for Cayman to keep presenting what he says is the accurate position about the local financial services industry. The former CIMA boss said that although efforts are made, they have been “sporadic” and reactive, not proactive as it needs to be. “The recent highly subjective and somewhat 'short on substance' secrecy report by the Tax Justice Network underscores how essential it is that Cayman presents the accurate position whenever and wherever possible and to those that matter,” he said. 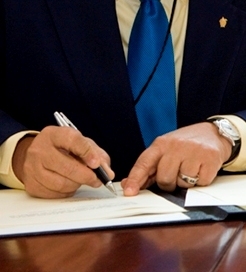 Although Ridley concedes that the Cayman Islands Government and the private sector do, for the most part, appreciate the importance of defending Cayman’s position abroad, he called the actual development and implementation of coherent strategic plans “sporadic” and “reactive rather than proactive.” Both the government and the private sector need to up their respective games, he said, by devoting significantly more time and resources to meet these challenges. “Those who would bury places like Cayman are in deadly earnest,” Ridley said. “So the very future of the financial services industry in Cayman is at stake." The recent Society of Trust and Estate Practitioners (STEP) Cayman Islands event in London, at which Ridley was a speaker, was an excellent example of the type of event Cayman needs to be doing more of, he added. STEP Cayman Islands played host to a forum chaired by John Humphrys, thewell-known BBC radio presenter, to examine Cayman’s expertise as a leading international jurisdiction in the field of trusts and private wealth structuring and charity and philanthropy, as well as wider business and commerce. Carlos de Serpa Pimentel, Chairman of STEP Cayman Islands and Head of the Private Client & Trusts group at offshore law firm Appleby, said that hosting a seminar in London was a first for the Cayman branch of STEP. “Our aim has always been to uncover the truths and myths about the Cayman Islands and to highlight the professional expertise available in the field of trusts and wealth structuring,” he added. Pimentel claimed that Cayman helps the world’s economy by offering a fully tax neutral platform for international financial transactions, which then enables substantial inflows of capital into onshore financial centres, enabling significant commercial investments to take place onshore. “In other words the existence of Cayman facilitates the workings of the world's financial system and makes it more efficient,” he said. Don Seymour, Managing Director with dms, said Cayman needed to carry on its present course of defence. 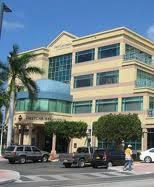 The recent report by TJN ranked Cayman as the second most secret jurisdiction in the world behind Switzerland. 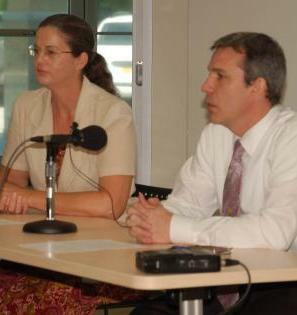 Although it was dismissed by Cayman Finance, because it said the authors were politically biased against tax neutral jurisdictions, the report was not dismissed by the international media, which within days of the report being published waspublishing the details of the report itself and the analysis that the researchers did on Cayman. See CNS story Cayman Finance dismisses secrecy ranking. (CNS): With Cayman’s relationship with the UK back in the spotlight recently, the country’s constitutional commissioners will be meeting with West Bayers on Thursday to discuss the country’s new constitution and the forth coming bill of rights. The officials will meet with West Bay residents and deliver a presentation about the governing document and provide an opportunity for discussions on the constitutional relationship between the United Kingdom and the Cayman Islands. Residents can offer feedback on any constitutional matters or issues, and a public-discussion document, “People-Initiated Referenda”, will be circulated. Thursday’s gathering will also serve to promote use of the Constitution Commission’s new website: www.knowyourconstitution,ky. The meeting will start at 7pm and will go until 8:30pm on Thursday, 13 October, in West Bay’s John Gray Memorial Church Hall. Refreshments and snacks will be served. Similar public meetings have already been held in all other districts on Grand Cayman, and a meeting is planned on Cayman Brac. (CNS): The Cayman Islands Olympic Committee is sending a team of twelve athletes to Guadalajara this month for the XVI Pan American Games which start on 14 October. The Cayman team will feature local swimming, sibling sensations the Frasers along with the long jumping Morgan brothers and will compete in Equestrian, shooting, athletics and swimming. The Pan American Games are the second largest multi-sport event after the Summer Olympic Games. The competition is held between athletes from nations of the Americas, held every four years in the year before the Summer Olympic Games. Accompanying the athletes will be their technical staff with Bruce Blake heading the team as the Chef de Mission. The Team Manager for Athletics is Michael Nalty and Athletics Coach is Kenrick Williams. Bethany Cook will be traveling as Swimming’s Team Manager and Physiotherapist along with Coach Dominic Ross. The Team Manager for Equestrian is Mary McTaggart, the Groom is Cristhopher De Lara and Jessica’s horse “Ray of Light” will compete with her in her event. Shooting will be sending Team Manager Kevin Schirn and the General Team Physiotherapist is Al Bartice. The CIOC President Donald McLean and Secretary General Carson Ebanks will also be in attendance, along with family and friends of those participating. 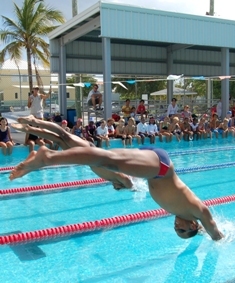 The Pan American Sports Organization (PASO) and the Cayman Islands Olympic Fundraising Committee (CIOFC) aided the CIOC in funding the participation in these games, assisting in the cost of accommodation, airfare, outfitting the team and Games pins. The pins for the XVI Pan American Games were designed by local artist Jamie Doak and have been given to the delegation to distribute while in Guadalajara. The CIOC has held on to a few extra, please contact the CIOC if you are interested in purchasing any for yourself. (CNS): The Health Services Authority (HSA) will be able to improve outcomes and take care of more premature babies with the donation of a new infant warmer to the Neonatal Intensive Care Unit. 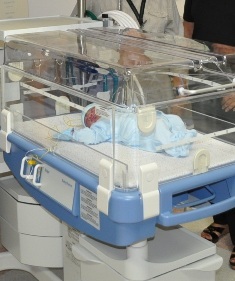 The state of the art equipment will assist medical staff to take care of even very sick babies. Dr Marilyn McIntyre, a paediatrician at the George Town hospital explained that the new equipment has several additional benefits that its predecessors in the Unit were not equipped with. “Most important, this equipment enables us to care for very ill newborn babies within a warm enclosed environment similar to the mother’s womb, without exposure to changes in external temperature or possible infection,” she added. “Monitors record the heart rate, respiratory rate, and record the oxygen saturation in the baby’s blood. An attached phototherapy unit can administer light therapy to jaundiced babies whilst they are protected within the warmer. “Likewise, combined within the warmer are oxygen and suction equipment, which means that infants born by Caesarean section who need these options can be transported back to the NICU for special care whilst remaining a totally enclosed safe environment. The new Infant Warmer is a valuable addition to the care and outcome of the babies within the NICU,” the specialist said. The device, which works to deliver an optimal thermo-neutral environment to prevent premature babies from cold or heat stress, contains ceramic heater elements and golden reflectors which provide even heat distribution over the entire bed as well as a fully integrated heated conductive gel mattress to keep the baby warm at all times. Dr. Greg Hoeksema, the HSA’s Medical Director said the hospital had been challenged this year to provide all its own capital funding, s donations such as this have proved vital to help it purchase new equipment. This latest donation combined with the hard work of staff meant that the unit was able to care of more babies than ever before. The infant warmer was presented to the NICU by Rotary Sunrise and the Genesis Trust but motivated by Paul and Emma Drake who previously had an infant who required support in the unit. The couple was so impressed and moved by the level of care given to their premature baby that they wanted to give something back. Drake, who is the Managing Director of GenesisTrust & Corporate Services Ltd. and member of Rotary Sunrise pulled it all together. The machine is already being used to care for premature newborns in the Neonatal Intensive Care Unit at the Health Services Authority. (Reuters): The Internal Revenue Service must make better use of its network of global tax treaties to share data with countries and hunt down tax abusers, said a report from congressional investigators on Friday. The United States has tax treaties and information-sharing agreements with 90 foreign jurisdictions, but limited exchange laws with some of the world's most secretive tax havens in the Caribbean and Europe. As U.S. authorities prosecute offshore tax shelters, notably with investigations into Swiss banks protecting U.S. clients, the IRS must aggressively collect and analyze the data to which it has legal access, according to the report, from the Government Accountability Office. The IRS should send out more requests for information to treaty partners, the report said. From 2006 to 2010, foreign countries sent the IRS nearly four times as many requests for taxpayer data as the IRS requested from them. Further, there is a significant lag time for data request responses, often six months or longer. The IRS "needs to rev up its requests or revamp our tax treaty network to get more taxpayer information and make more headway against rampant offshore tax abuse that disadvantages honest taxpayers," said Democratic Senator Carl Levin, chairman of the Senate Permanent Subcommittee on Investigations, in a statement coinciding with the release of the report. (CNS): FirstCaribbean International Bank Limited has announced that it has entered into an agreement with its majority shareholder CIBC Investments (Cayman) Limited, to acquire all of the issued and outstanding shares in CIBC Bank and Trust Company (Cayman) Limited, a Cayman Islands Company and CIBC Trust Company (Bahamas) Limited, a Bahamian company for a US$76.8 million subject to regulatory approvals. Then bank said the move would help boost its wealth management services in the region. “This acquisition by FirstCaribbean at this time speaks to the confidence we place in our Wealth Segment to leverage the expertise and product offerings of our parent Canadian Imperial Bank of Commerce and become the market leading Wealth services provider in this region,” said Chairman of FirstCaribbean Michael Mansoor as the firm made the announcement. FirstCaribbean said it will issue 51,917,808 common shares in its capital as payment of the Purchase Price. CIBC Investments (Cayman) Limited will at the conclusion of the transaction own 1,445,725,257 or 91.67% (91.39% prior to the transaction) of the shares of FirstCaribbean. The acquired entities provide trust and fund administration services business in the Caribbean to private wealth management clients and institutional investors. CEO of FirstCaribbean Rik Parkhill said the businesses are a wonderful addition to the FirstCaribbean group. “They are geographically complementary, they possess strong complementary balance sheets, solid and experienced management teams and their operations will integrate seamlessly with FirstCaribbean yielding cost and revenue synergies,” he added. Ben Gillooly CEO of the firms being acquired said it was great to become part of the FirstCaribbean family. “We will be able to leverage FirstCaribbean’s diverse footprint in the Caribbean Region to deliver our products and services to Wealth and Institutional Customers,” the bank boss said.